Regarding business-to-business (B2B) and C2C e-commerce models in Vietnam, without the participation of Amazon, the top three e-commerce platforms are Facebook, Shopee and Lazada. The three companies make up 60% of total market value. The rest belongs to Sen Do, Tiki, Vat gia, En Bac, Cho Tot, Zalora, Adayroi and Foody. According to experts, Vietnamese e-commerce trading floors are gradually becoming a playground for global corporations. Billionaire Jack Ma has invested US$4 billion in Lazada. Garena (now called Sea), Shopee’s holding company, is also generous in spending money in key markets of Singapore, Malaysia, Indonesia, Thailand, Philippines, Taiwan and Vietnam. China’s largest retailer, JD.com, poured US$44 million into Tiki at the beginning of this year, following VNG, and has become a large shareholder in the firm. The proportion of foreign investment into Tiki has reached more than 40%, reported Dau Tu (Investment) Newspaper. Online trading platform Sen Do recently received US$51 million from investors in Japan, the Republic of Korea and Taiwan. Amazon is also creating conditions for small and medium- sized enterprises (SMEs) in Vietnam to sell products on Amazon. To win the e-commerce game, a lot of money is needed. However, some said that money is not the only requirement. Players also needed strong teams. The market is lacking skilled personnel, spending a lot of money does not mean having quality staff, experts said, presenting the example of the loss of Lotte e-commerce business in Vietnam. E-commerce is developing rapidly in Southeast Asia with a population of 600 million people. It is forecast that the market scale will reach US$88 billion by 2025, equivalent to six per cent of the total retail sector’s revenue. Increase in the middle class and access to the internet are the two key factors accelerating Southeast Asia’s e-commerce market. 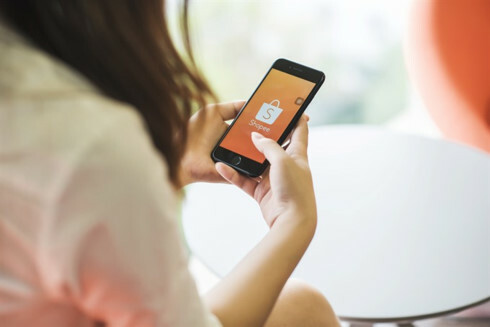 For the Vietnamese e-commerce market in particular, the Vietnam eCommerce and Digital Economy Agency under the Ministry of Industry and Trade, set a target of 30% of the country’s population participating in online shopping with an average expense of US$350 per person per year by 2020. The business to consumer (B2C) revenue will increase 20% per year and reach US$10 billion by 2020, accounting for 5% of the national total retail sales and services revenue.